Have you tried to link to your products on Instagram before? It’s always been rather difficult to get your links on Instagram. You either had to direct people to the link in your bio or invest in Instagram Ad Campaigns to get links on your posts. However, Instagram has recently released a new feature that allows you to “tag” your products in your posts and stories. This means that you can now showcase your items and provide a link to where your audience can buy them. Read on to find out how you can get started with the “Shopping on Instagram” feature. To access this new feature on Instagram, you will need an Instagram Business Account. If your Instagram isn’t currently a business account, it can be converted so that you don’t lose any of your progress. Before getting started, you should read through Instagram’s Commerce Policies to make sure that your business is eligible. You will also need a Facebook Page that you have set-up a Facebook shop tab on. Instagram won’t let you link directly to your website but instead, they will let you link to the catalogue that you built on Facebook. When you have created a product catalogue on Facebook, it will automatically be reviewed for Shopping on Instagram. The process usually takes a few days to clear. If you already use the Integrated Create Facebook Shop, please be aware that this is different from the Facebook Shop Tab you will need to create directly on Facebook. You can run both Facebook shops from your Facebook page without conflict. Once your product catalogue has been approved, you are ready to start adding your tags in your account. Go to your Instagram Business Manager Account and click the ellipsis in the top right corner. Select your product catalogue and press done. You now have the product tags in your Instagram Business Account, ready to be applied to your posts and stories. A product tag includes both the name of the product and the price. This tag will then link to your Facebook catalogue. They can be applied to both your new and existing posts. 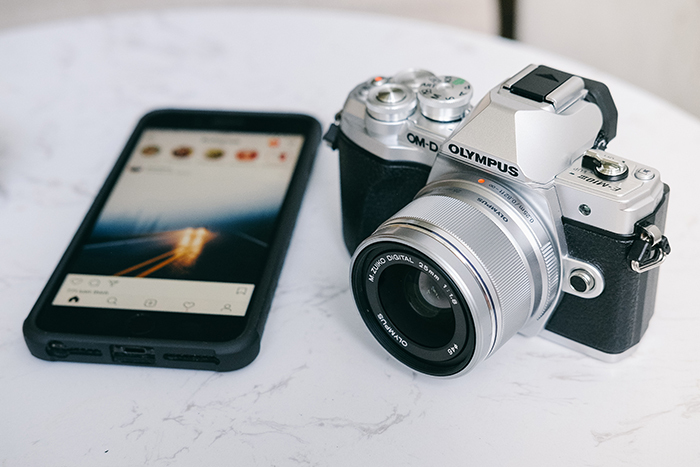 The reason this feature is so brilliant is that Instagram gives you the perfect opportunity to take lifestyle photography and tag your photos in a candid shot. It helps your potential customers to visualise how your product will change their life for the better. This will help to influence their buying decisions. Tagging your products is done in the same way that you would tag a person in your photograph. Bear in mind that you cannot tag both people and products at the same time in your pictures. Choose your product from your catalogue and place it on your image. Then publish. Choose your product from your catalogue and place it on your Story. Then publish. So by now, if you have worked through the above process, you should have your very first Instagram Shopping Post or Story. Congratulations! Now people can click from your Instagram feed to your products. All that’s left to do is to track how these posts perform. What style of images works best? What have you written in your description to compel your audience? Is this a post worth promoting? After you have experimented with the feature, you will soon tune into what works best for you. When you have found the winning formula, it is well worth boosting your post to your audience to drive more sales. Let us know how you get on! By sharing your experiences, it helps the whole of the Create Community to grow and explore new options for their websites. Your feedback is very much appreciated. If you're on Instagram, we'd love to connect! Follow us to keep up to date with all the latest news and offers at Create. If you’re looking to improve your presence on Instagram, check out our related articles below that will help you to learn how to improve your following and engage your audience.